Coral Shores is one of the popular boating communities in Bradenton, earning many buyers’ nod due to its superb location and attractively priced listings in the MLS of Bradenton homes for sale. Located in West Bradenton, this community spreads just off south of Cortez Road West (44th Avenue West). Its home sites were meticulously platted alongside finger-like mini-peninsulas delineated by four deep-water canals leading off to the northern waters of Sarasota Bay. Coral Shores’ entrance on 9200 Cortez Road is directly across of the new neighborhood of the Villas of Rinascita. The single family homes of Bay Lake Estates and the villas and condos of Mount Vernon flank Coral Shores east and west, respectively. 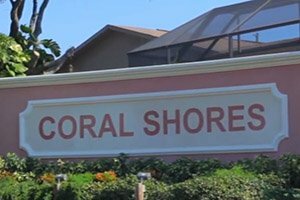 Coral Shores is akin to a well-polished gem, as it was developed from 1963 up to 2004. Many of its homeowners have lived in this community for over 40 years, although a younger set of residents have settled here more recently as well. 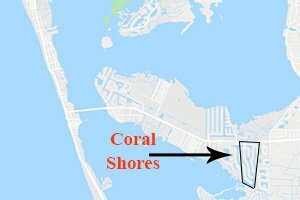 As it could be expected, a majority of the residents of Coral Shores seeks to ensure that the property’s canals are dredged and deep enough to accommodate large boats. The community’s “sailboat water,” after all, counts as one of the strongest plus points of Coral Shores homes for sale. 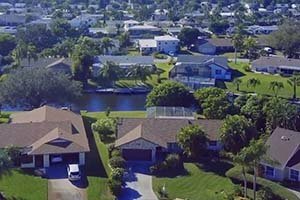 Most of Coral Shores homes are set on canal-front lots, and a majority of these homes have boat docks on navigable deep water, allowing access to Sarasota Bay and farther onwards to the Gulf of Mexico. Many of the residences in this community have private swimming pools and attached garages. The Coral Shores community is comprised of 280 single family homes. The design of these residences is predominantly in the classic Florida ranch architectural style with robust, single-story construction. There are builds in this community which are also faithful renditions of Key West and Spanish architecture. Many of the older homes in this community have been either upgraded or remodeled, and there are a few picks which are of new construction as well. Typical listings of the homes for sale in Coral Shores are priced in the $300s‒$400s range and are builds in the 1960s. These residences come with floor areas of approximately between 1,400 and 2,100 square feet designed with three bedrooms and two baths at least. There are plenty of other attractions going for Coral Shores aside from its appeal to boat lovers. Several parks and preserves, such as the New College Tidy Island Preserve and G.T. Bray Park, are easily accessible from this community either by land or water. Coral Shores, furthermore, defines true Florida living given its proximity to Anna Maria Island and its beaches. The nearest, Bradenton Beach, is only three miles west of this community via Cortez Road and its span to Anna Maria. Eastward, Cortez Road and El Conquistador Parkway opens the gateways to the wide selection of life and leisure centers of West Bradenton. The destinations nearby include the various sports facilities of IMG Academy which likewise offers sports-oriented curriculum choices for students. The fortunes of Coral Shores homes for sale is also being shaped by a major plan to set up a mixed-use development on a former farm sprawling a short distance east of the community. Below are the current real estate listings available in Coral Shores.